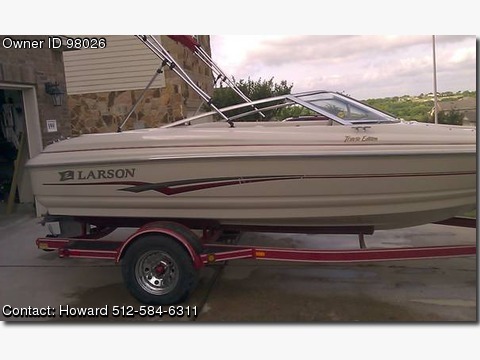 Please contact boat owner Howard at 512-584-6311. Excellent condition inside and out, Volvo Penta IO 4cyl 130 HP Low Hours, great on gas. Seat cushions and all interior vinyl and exterior gelcoat also excellent condition, Like new Red Bimini top. 22&#39; Trailer included with detachable tongue to fit 20&#39; garage. Located in fully enclosed storage unit at lake. Always used in fresh water, Never in salt water, spare Stainless Steel prop. current owner since 2002.